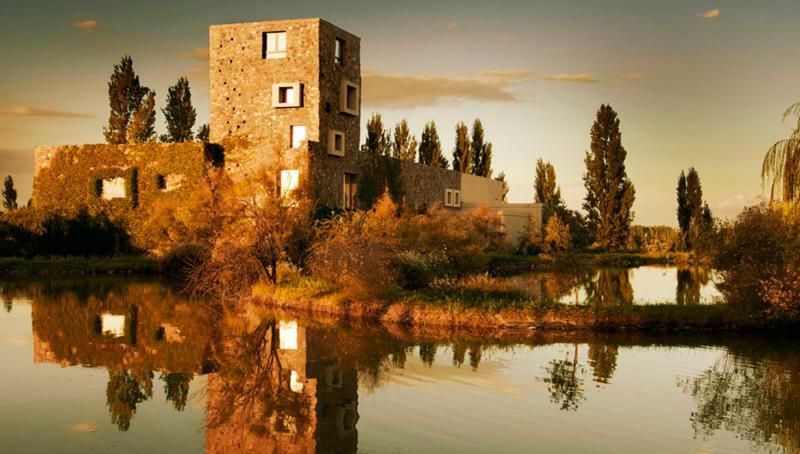 Founded by Patricio Reich, with the collaboration of world-renowned winemaker Alberto Antonini, Bodega Renacer prides itself in bringing consumers the very best wines from South America's unique terroirs. The winery structure itself is quite impressive, featuring a medieval tower built of rocks with state-of-the-art winemaking equipment. The Malbec grapes are sourced from two mountain vineyards, both planted more than 50 years ago near the city of Mendoza. The wine has a rich bouquet, lively mouth-feel, lingering flavors of red and black berries with undertones of black pepper and vanilla, and a velvet texture throughout. Wine Spectator 90"This dark, polished red mixes crushed blackberry, cassis, plum skin, underbrush and olive hints on a full-bodied frame. The long finish ends with an aftertaste of mocha."